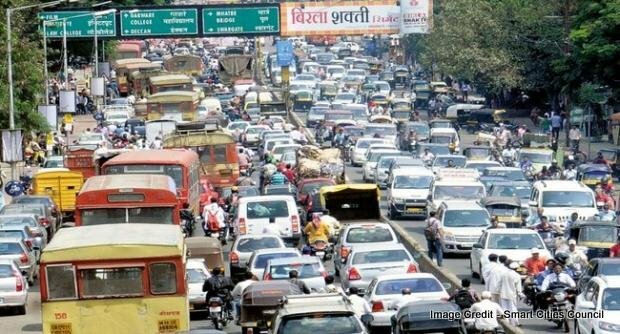 While total human population of Pune stands at 35 lakhs, registered vehicles in the city are at 36.2 lakhs. As per Regional Traffic Office MH-12, the total number of registered vehicles in Pune is currently at 3.62 million (36.2 lakhs). This figure exceeds human population which is currently at 3.5 million (35 lakh). This makes Pune the first city in India to have this sort of distinction wherein registered vehicles exceed human population. This consensus was taken by the RTO on 31st March 2018 with an increase of over 2.80 lakh vehicles taking previous year’s figures from 33.37 lakhs (2016-17) to 36.27 lakhs (2017-18). Of these total vehicles in Pune, it is the number of two wheelers that score the most which an increase from 24.97 lakhs to 27.03 lakhs. This works out to 1 vehicle per family, with many families having both a two and a four wheeler or multiple two wheelers. 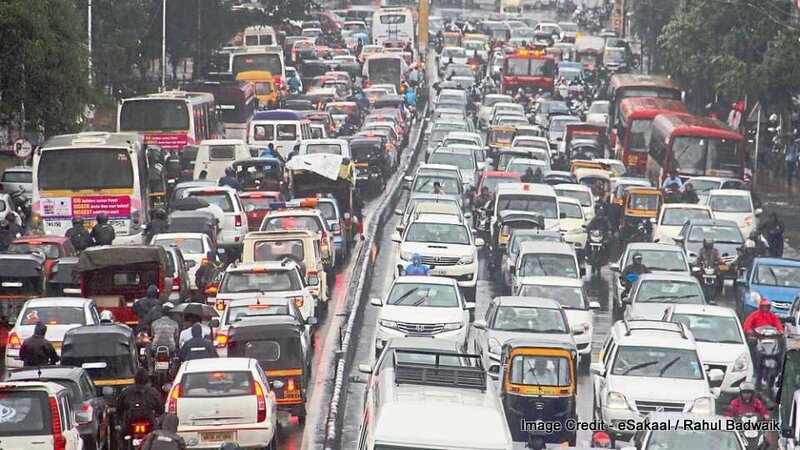 Taking percentage wise increase in vehicles in Pune, growth of 9.57% was registered in 2018 over 2017 figures while two wheelers increased by 8.24%. These increased registrations brought in 118.38% increase in revenues to the RTO, Pune, from a target of INR 862.32 crores to INR 1,021.56 crores. 2018 also saw an increase in the taxi-cab segment by 25% with a total of 28,344 cars registered as compared to 22,696 cabs registered in the previous year. Giving a segment-wise breakdown of all vehicles registered with the RTO Pune over the past year reveals that 6,45,683 four wheelers, 2,73,147 two wheelers, 53,225 auto rickshaws and 28,344 taxis were registered. It was also 38,598 vehicles in the truck, bus and tempo category that were registered. All these vehicles, in addition to the existing vehicles have lead to a colossal traffic management problem while increased pollution has also had a devastating effect on the city. The new Ring Road that is still under discussion and the upcoming Metro is what Puneites can only hope for to bring in some semblance of order into the city.